I’ve highlighted my data usage in green. All of my data usage was via my WiFi connection. I don’t like wires! Oddly I only used Outlook for a day or two before I, once again, decided I really didn’t like it. So I’m back using Windows Mail in Windows 10 and surprisingly it runs better on Windows 10 than it runs on Windows 7 or Windows 8.1. Is this a hint from Microsoft that they’re about to bring Windows Mail/Outlook Express back? Probably not, however it is odd that it works better in Windows 10 than it worked in Windows 7 or Windows 8x. 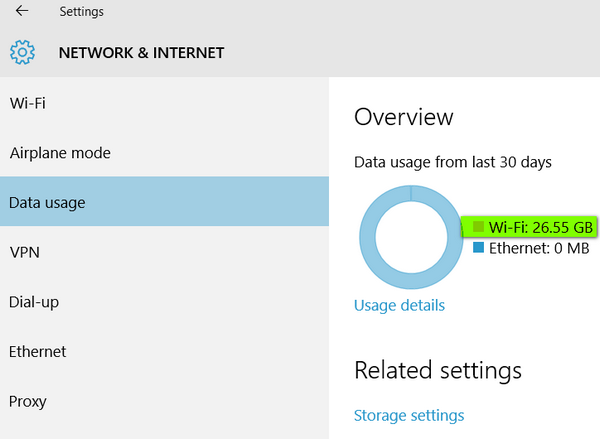 D oes this mean Microsoft is spying on you? 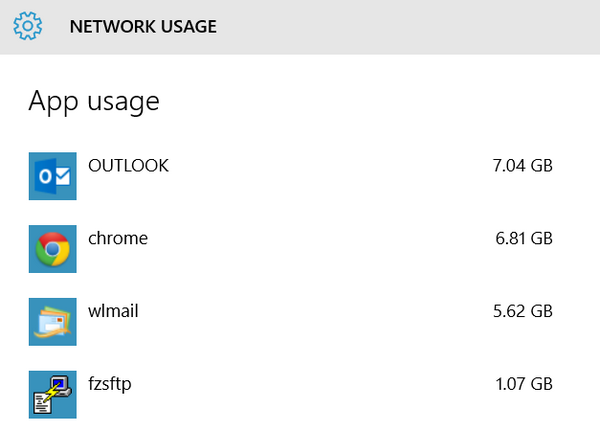 Somebody, somewhere is going to write an article about how Windows 10 spies on its users by keeping track of data usage, never mind that Apple and Android devices have been doing this for years. Someday all the alarmists and conspiracy theorists will come to the conclusion that Microsoft is not the NSA. The NSA gets its money from the public dole; they can pick money off the public money tree and use it to spy on us. Microsoft cannot access the public dole, it cannot pick from the public money tree and it depends on customers buying their products to remain a viable company. I tell you this, there is a lot of money in writing anti-Microsoft “Microsoft is spying on you” blogs and articles. People tend to share these “alarming” blogs and articles via email, posting on sites like this and by social media. This means lots of visitors and lots of visitors means lots of money. It’s all about the money; it’s not all about the truth. How long do you think it would be if Microsoft was really violating user privacy before some whistle blower inside Microsoft would blow the cover off the whole thing. Apple and Android operating systems have been doing exactly what Microsoft is doing with Windows 10. But there’s no money in criticizing Apple and Google (Android) had its days of being bashed by alarmists and conspiracy theorists and people out to make a buck off controversy. So now Microsoft has given all these people something new to attack in blogs and news articles which are more based in the quest to attract visitors and make money than it is about the truth. Does anyone remember the National Enquirer? Yes, Microsoft is spying on you, Google is spying on you, Yahoo is spying on you. The only one who is not spying on you is YOU, and I’m not so sure about you? Read the article. When I got to the bottom I bursted out laughing… Yes!!! I remember the National Enquirer. Isn’t it still up and running? Who knows these days! LOL! That was so funny, however you got your point across. Thanks for all the info on Windows 10. You are amazing!